Are there hormones in milk? Yes! All milk contains naturally-occurring hormones. But, consumer perception is that milk from cows treated with rBST may cause early puberty in children or increase the chances of getting cancer. This is not true. 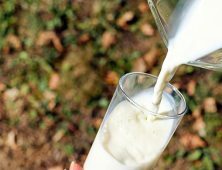 How did milk get such a bad reputation and what does the science say? This day and age, you would be hard-pressed to find a multimillion-dollar industry free of controversy. Dairy farmers know this reality all too well. The consumer perception of hormones in milk products is an example of marketing claims gone awry. Because of consumer misunderstanding, the dairy industry changed without any regard for science. Despite many validated scientific studies and numerous regulatory approvals, the use of rBST (recombinant bovine somatotropin) has been reduced from dairy farming because of the fear generated by misinformed consumers and tactful marketing claims. There is no such thing as hormone-free milk! All milking cows are females that have recently given birth and have hormones. Just like humans! In fact, if female cows didn’t produce hormones, they would not be able to have babies and produce milk. Once a cow has given birth, she produces milk for approximately 10 months. What is rBST or rBGH? BST, or bovine somatotropin, is a naturally occurring protein hormone produced by a female cow’s pituitary gland. Somatotropin regulates the cow’s metabolism and determines how efficiently a cow converts her feed into milk. Bovine somatotropin (BST) is also referred to as Bovine Growth Hormone (BGH). rBST is the synthetic version of BST— it is an exact replica of the naturally-occurring BST hormone, recreated in a lab. After decades of scientific research, scientists recognized that cows supplemented with additional somatotropin produce on average 10-15% more milk every day. There is no discernible difference between milk from treated or untreated cows. 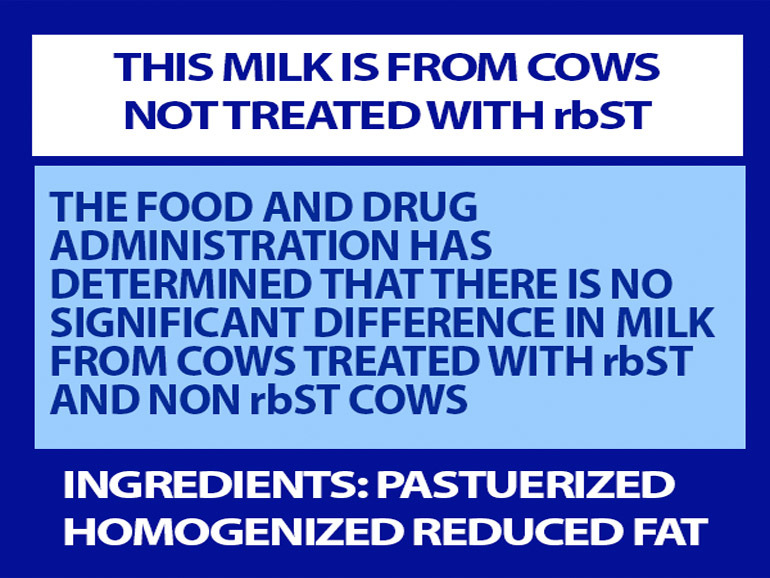 When comparing treated versus untreated milk, it is impossible to detect the use of rBST. In the 1970s, the biotechnology company, Genentech, discovered the BST gene and proceeded to synthesize the hormone to create rBST. Pharmaceutical companies were then able to commercialize the technology in order to sell the product to farmers. Monsanto, for example, licensed Genentech’s patent and was the first company to receive approval from the FDA. Monsanto then sold their product to dairy farmers and cows across the United States were given rBST to increase milk production. Milk is a commodity and for this reason, it is very hard to distinguish the milk from one dairy cow to another. Farm profitability depends on both the available milk supply and consumer demand. 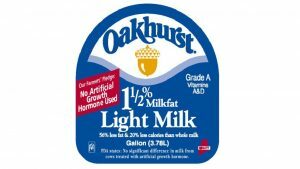 In 1997, Oakhurst Dairy in Maine was struggling to differentiate their company from larger competitors. The owner of Oakhurst decided to give financial incentives to their dairy farmers and in return asked them to sign a pledge rejecting the use of additional hormones. Thus began the marketing and enticing consumers to drink ‘rBST free’ milk. How do we know rBST is safe? BST (and the synthetic rBST) is a hormone that is specific to bovines. The human body does not produce it or have a need for it. So, if you are an avid milk drinker, you can rest assured that your body does not recognize BST as usable in the human body. Because it is a protein, the human body will effectively break it down (like any other protein) and eliminate it. Therefore both BST and rBST have no impact as a growth hormone in humans. 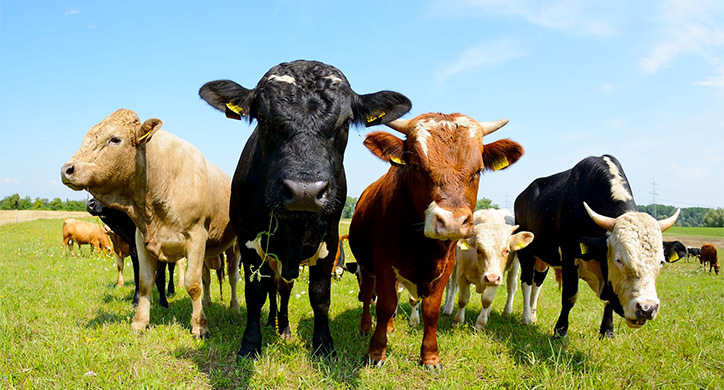 In 1993, the Food and Drug Administration (FDA) approved the use of rBST in cattle. The World Health Organization Committee (WHO) and the Food and Agriculture Organization (FAO) followed suit and deemed rBST safe for consumer use. Today, over 90,000 scientific reviews and studies document the safety of rBST on both humans and cows. Mary Kraft is a dairy farmer from Fort Morgan, Colorado. She explains hormone use in milk production and why she feels confident that the milk we all drink is safe and healthy. rBST is proven not to affect human health or the nutritional quality of milk, but there are some studies that argue rBST causes mastitis (udder infections), reduction in fertility, and lameness in cows. 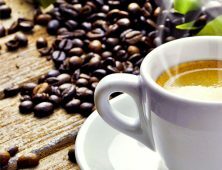 These alleged side effects, along with the results from a 2003 meta-analysis confirming these findings, resulted in several countries banning the use of rBST. 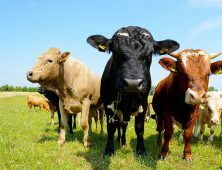 However, 11 years later, a 2014 meta-analysis, sponsored by the American Veterinary Medical Association, showed no ill-health effects to cows given rBST. Given these conflicting opinions, the Dirt-to-Dinner team was curious about what the farmer had to say— after all no one cares more about having healthy dairy cows than a dairy farmer. When speaking with various dairy farmers, they all agree that that the health of the cow depends on the farmer. Dairy cows are like Olympic athletes. If farmers feed their cows well, clean them properly, and monitor their activity they will stay healthy. For example, if they are given rBST and their udders are not monitored and cleaned there is an increased risk of mastitis, but if they are well-cared for the farmer can eliminate that risk! The use of rBST can help the environment. 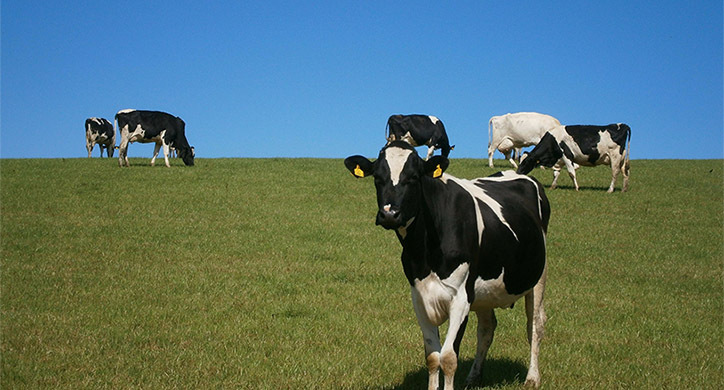 Dr. Normand St-Pierre, a retired dairy specialist from Ohio State University, examined a recent study that calculated the number of various pollutants that were inevitably not produced with the use of rBST. In the study, milk created by the one million dairy cows supplemented with rBST inevitably reduced the number of cows needed to create the same amount of milk. This reduced manure excretion by 3.3 billion pounds per year. It also reduced emissions of CO2 1.3 billion pounds per year—the equivalent of over 350,000 family cars. The point? Technology often improves efficiency on the farm. In the case of rBST, the environment benefited through fewer carbon emissions and the consumer benefited through more affordable milk and milk products. Technology can lead to efficiency – more milk with less water, waste, and land use. From a farmer’s (and consumer’s) perspective this is a positive in terms of business and environmental impact. 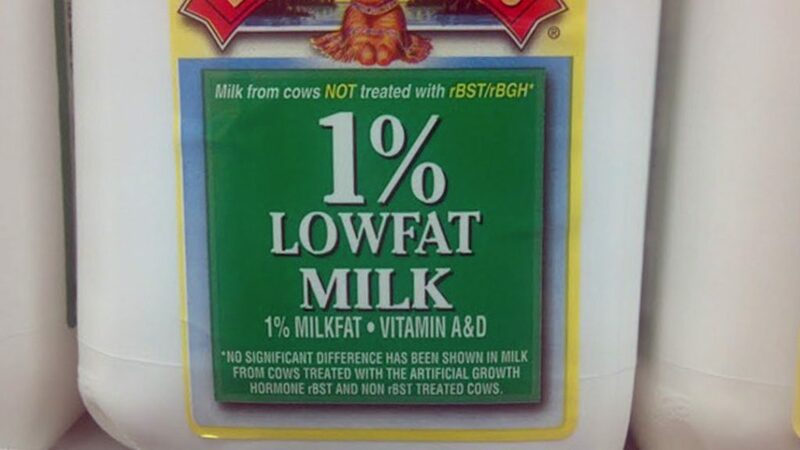 The ‘BST Free,’ ‘rBST Free’, or ‘rBGH’ labels are often used as marketing gimmicks. 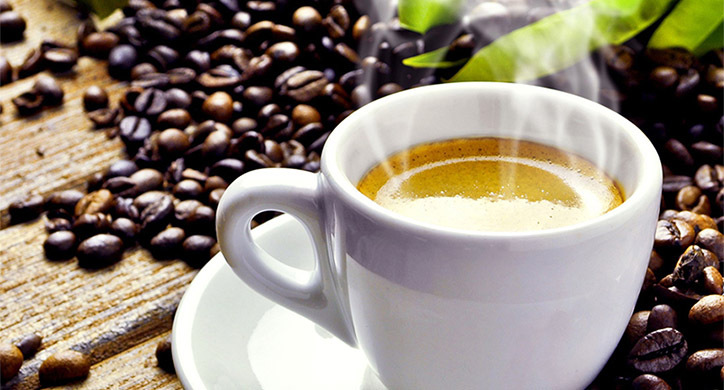 This continued marketing ploy drives consumer perception. American farmers work with very thin margins. Our farmers are expected to produce viable dairy products on a specific amount of land, water, and resources. 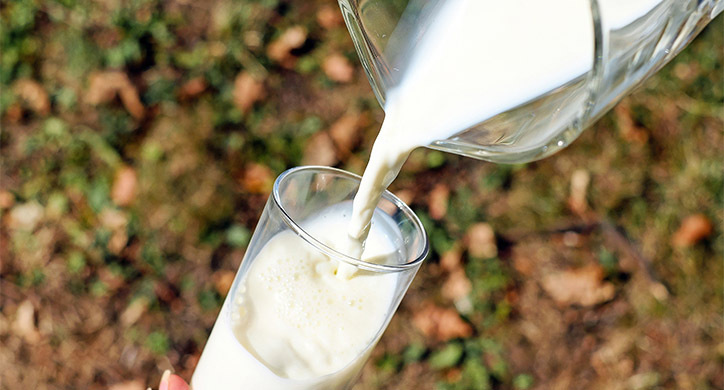 The average farmer produces approximately 38,000 glasses of milk a year, with the average consumer consuming roughly 325 glasses of milk a year. Why not allow farmers to produce this using fewer cows rather than putting stress on our environment? Labels can be confusing. Here not only are customers assured that this milk is free of hormones, but also states that the use of rBST in dairy farming is safe. rBGH is practically a non-issue today—most producers no longer use rBGH. In 2007, a government study projected that roughly 17% of US cows were treated with rBST and that number has continued to decline. But understanding this social controversy is very important. Why do we ignore the data? As we have seen with GMOs, consumer perception can negatively affect successful food technology. The trace hormones found in milk are not dangerous. Milk is nutritious, accessible, and affordable. Do not allow false marketing claims to influence your perception on milk.